Electric vehicles (EVs) are quickly becoming a more affordable and lower maintenance option than traditional gasoline or diesel fueled cars for Floridians. Florida is home to nearly 28,000 plug-in electric vehicles. That puts the state in close competition for the second highest number of EVs behind California. Considering the only significant incentive the state government provides is special HOV access, Florida consumers are clearly enthusiastic about driving electric. As in other states, the utilities are getting in on the act with a little help from clean energy advocates. As part of a November 2017 settlement agreement, Duke Energy will spend up to $8 million to deploy at least 530 charging stations and maintain them on customer properties. Gulf Power is also implementing a charging pilot program that provides an unspecified number of charging stations on a revenue neutral basis. The Florida EV market will also likely be impacted by the state’s plan for spending $166 million of funds resulting from the Volkswagen Clean Air Act Settlement. The plan is currently being formulated on how to spend the funds. Related to the VW settlement, Electrify America chose Miami as one of 11 cities that will receive some portion of $40 million, which is a part of the first of three rounds of investment in a new, non-proprietary EV charging station network. As mentioned above, Florida EV drivers qualify to drive in the HOV and Express Lanes for free, regardless of the number of passengers in the car. The vehicle must display a Florida Division of Motor Vehicles issued decal, which is renewed annually. 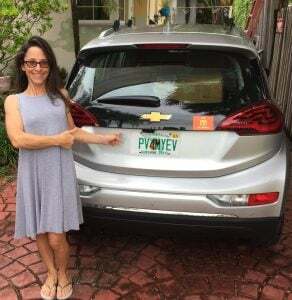 PV4MYEV – Miami-Dade Co-Op Coordinator, Jody Finver, with her Chevy Bolt. 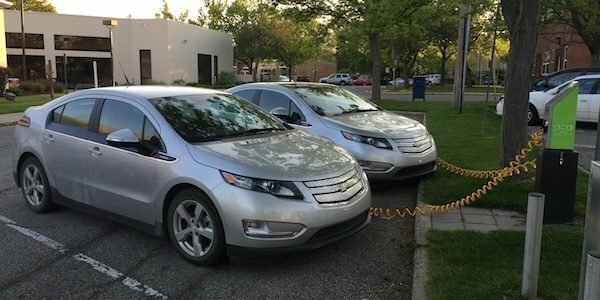 Drive Electric Florida – Supports EV-friendly policy and programs. Florida Department of Agriculture and Consumer Services information about EVs – General consumer information about electric vehicle technology. U.S. Department of Energy on EV incentive programs in Florida. 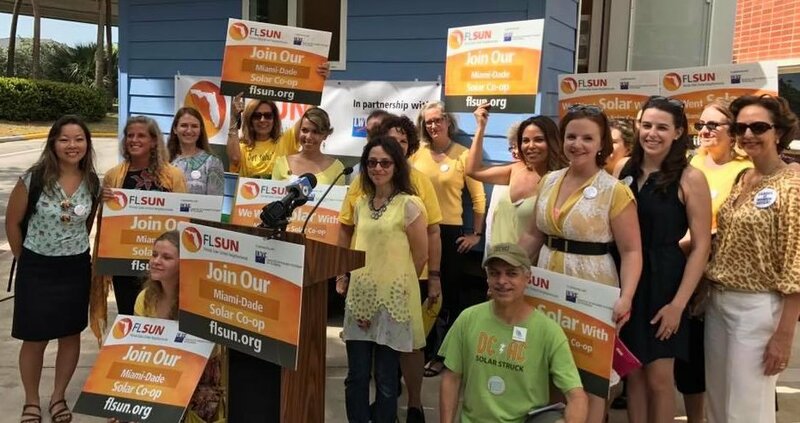 Florida Solar Energy Center Video on creating energy independence by Dr. Jim Fenton. Florida Power & Light – This local utility offers incentives to promote electric vehicles.